Homeowners can get mortgages through just about any lending company. A borrower is free to choose from a Portage mortgage bank, Portage mortgage broker, an insurance company, or maybe even an online Portage mortgage source. That said, getting mortgages through a credit union may be the best course of action. Kalsee Credit Union offers a full range of financial solutions, such as mortgages, for all of your personal and business needs. These include Checking, Savings, Lending, and Visa® Credit Card. In addition, we provide a full suite of best-in-class investment, insurance, debt counseling, and credit management services. It’s often advantageous to enlist financial services, including Portage mortgage solutions, from a single provider. That’s because your relationship with this Portage mortgage company will likely influence the quality of service they deliver to you. You can also avoid having back-and-forth correspondence with one Portage mortgage representative after another. A credit union provides not only Portage mortgage services but also other financial solutions. For instance, you can maintain your savings and checking accounts with the same credit union that holds your Portage mortgage. Should you need a loan on top of your Portage mortgage, you can also get it through a credit union. In addition, it’s generally easier to work with a Portage mortgage institution that already has your personal and financial data. If you want to get a credit card, a credit union that holds your Portage mortgage and already has your financial information can process it quickly. They may even have pre-approvals awaiting your confirmation. Aside from a Portage mortgage, you may need a home equity loan and home equity line of credit at one point in your homeownership process. For example, you may use a home equity loan or HELOC as part of your down payment when you buy a house. Doing so helps you avoid private Portage mortgage insurance, which can be expensive. Credit unions are great, natural sources of mortgages and other home loans. When you build a relationship with one, you will likely find it easier to get a Portage mortgage, HELOC, or home equity loan. Some credit unions even routinely provide home equity loans and HELOCs with new first mortgages. Those who have a Portage mortgage are aware that their lender can sell mortgages to other lenders or service providers. This can happen several times over the course of a Portage mortgage term. When it does, it can be inconvenient for the borrower of the Portage mortgage. Each time his or her Portage mortgage is sold, he or she has to begin making payments to a new Portage mortgage company. With credit unions handling mortgages, you are less likely to worry over this Portage mortgage issue. These institutions loan in-house instead of selling the mortgages to generate outgoing interest income. 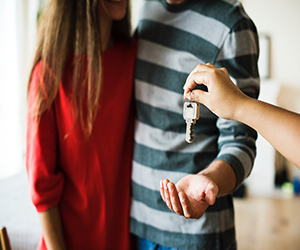 For the life of your Portage mortgage, it’s possible that you’ll work with only one credit union, which can save you the stress of switching from one Portage mortgage company to another. Click here to learn about our portage mortgage. A portage mortgage may be right for you. Click here to learn about portage mortgage and how it can help you. The Portage mortgage process can be incredibly complex. As mortgages are processed, there are various opportunities for something to go wrong. If something does go wrong, face-to-face contact is important in addressing the Portage mortgage issue effectively and promptly. View some mortgage tips here. Unlike other Portage mortgage service providers, credit unions have a physical location. This means that you can go to their branch if you encounter a problem during your Portage mortgage process. With face-to-face meetings, you don’t have to try and solve Portage mortgage issues by costly overnight mail, phone, or email. Are you planning to get a Portage mortgage? Take advantage of our unbeatable Portage mortgage rates at Kalsee Credit Union. When you get your Portage mortgage through us, we’ll work hard to make the process as hassle-free as possible for you. Click here to view our locations and hours.